Kynseed is a charming life sim that feels a tad empty at the start of its Early Access journey. 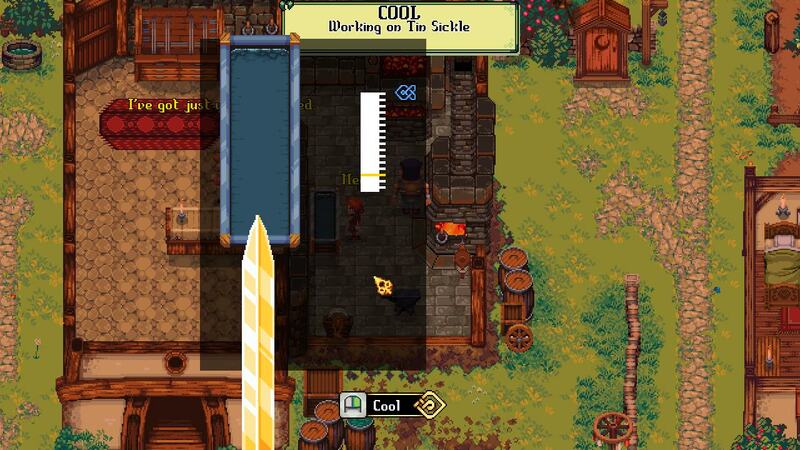 Ever since Stardew Valley saw people coming in droves to its pixelated countryside fantasy, life sims have tickled the interest of devs and players alike, primarily in the indie sphere. Kynseed is one such life sim, recently released on Steam Early Access, that not only aims to capture some of the magic of the countryside, but also push forth a handful of its own ideas. Farming, fighting and owning a shop are still on the table, but instead of just one character, you’ll go through different generations as everyone in the world ages – or at least that’s the plan. In Kynseed you step into the shoes of one of two orphans taken to The Vale by a seemingly good-hearted old man. With a bed of your own to sleep in, you’re set to start a new life. The old man’s farm is a clear upgrade over your previous abode – a shoe. Days come with new tasks to do which not only works well contextually but also serve as a tutorial. One of the first tasks required feeding the old man’s pig. First I had to shake an apple tree so that the fruit fell down, after which I exercised my throwing arm, lobbing the apple over the fence. Well, my avatar did and he had much better aim than I could ever hope for as a child. Although life on the farm is simple, it doesn’t boil down to just throwing apples over fences. The old man’s cow is a good source of milk for nearby people and it falls upon you to take the bucket, milk the cow and deliver the beverage around. Any farm needs its crops and seeds can only be purchased from the market on the 3rd and 10th of each of the four seasons; until you find another vendor with a different schedule altogether, that is. As Kynseed only lets you do so much in a day, it’s probably good to plan ahead. Don’t worry about falling asleep on your way back, as you’ll be magically transported back to your bed, right after you get to see Kynseed’s evening glow in all its splendor. Crops require different amounts of water to grow so you’ll have to take some time water them yourself, unless you’re lucky enough for it to be raining. You’ll often travel to the nearby village, which is the first point where Kynseed opens up. Upon entering a tavern, I was informed that they couldn’t serve me, since I was too young. Ten years ago, I would have complained that video games should be a place to escape such nuisances. Now, I’m looking at it as an interesting gameplay element. Similarly, I couldn’t own shops until I was of the right age. Unfortunately, just like the family tree, aging isn’t yet implemented in the game, so I only managed to become an apprentice with the town’s cook and blacksmith. Both activities have their own minigames. Cooking requires selecting the ingredients for a recipe, then dropping them in at just the right time, unless you plan on eating a burnt mess. After you’ve obtained ore from one of the nearby mines, blacksmithing requires you to forge the weapon through a series of minigames involving filling the mold, cooling the weapon, making it flexible and sharpening it. They’re all done by pressing buttons at the right time, or holding them and releasing as near to the threshold as possible, but it’s a great way to directly engage with crafting. The world brims with color and begs to be explored, thanks in no small part to Kynseed’s eye-catching pixel art. Villages wake up with the morning, as cheerful sprites go about their day. At sunset they return to their homes under a lovely orange glow. It’s difficult to not feel welcome, even when you meet the grumpy NPC that’s not too keen on having you on his property. 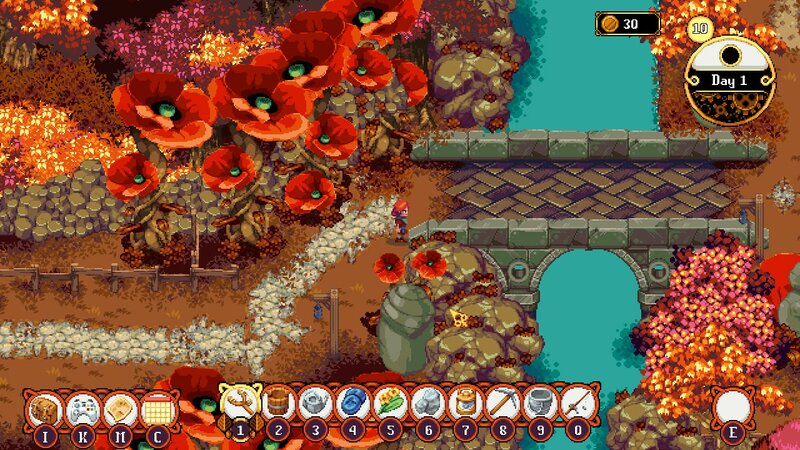 The first areas are covered in lush green forests but once the tutorial ended, I found myself going through increasingly varied locations, such as fields covered in giant poppy flowers. Seasons also leave their mark upon the world’s small, interconnected areas which can be mapped using the runestones spread around. Look closely enough and you’ll find lorebooks and proverbs which give flavorful insight on the land’s lore while also helping you discover when and where certain resources, such as plants, grow. Kynseed also has its fair share of rough edges. Although I didn’t take much issue with it on a 1080p screen, there aren’t any resolution options aside from windowed mode and fullscreen at the moment. NPCs you might need to talk to can choose to chill out in areas you can’t always reach. I was quite eager about fishing myself a meal or two only to find that after the initial fishing quest all fish in the world had magically disappeared. The local cat lady mentioned buying cats off her, but the option doesn’t seem to be available at the moment. That wasn’t a big deal, however. The cat she had asked me to save happily followed me around after feeding it. Rumor has it that they hiss when ghosts are present, although I didn’t quite bump into one. I’m also not sure whether it’s age related or not, but after spending a good chunk of coins on a copper sword, I only found myself able to hold it above my head and throw it around. I wonder if feeding it to the pig would have done anything. Anyway, you get the idea. As with other Early Access games at the start of their journey, there’s unfinished stuff and bugs that cannot be escaped. What Kynseed currently offers is a foundation made up of bits that are pretty much standard fare for life sims. 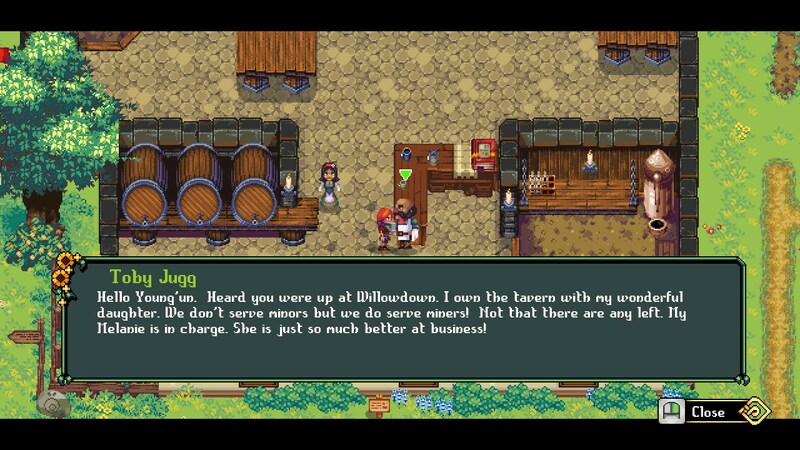 The content ends right as you obtain the titular Kynseed which kickstarts the entire tracking your family tree business, meaning you can’t quite dabble into it just yet. Just like the family tree is missing, so is the aging system, alongside a good number of others. The developers are, however, pretty upfront about the game feeling empty at the moment; it’s on a disclaimer when you launch it and several notes and NPCs also bring it up during gameplay. Current plans see Kynseed staying in Early Access for at least one year, possibly more, and I’m curious to see how it all pans out and how the devs will balance the length of days for playthroughs that span entire generations. If you do decide to pay the $9.99 entry fee, know that you’re dealing with an, admittedly charming, title that’ss barely setting off on its Early Access journey.